Well, bummer. I had high hopes for this one. 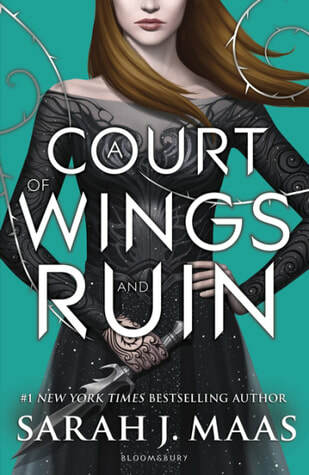 Sure, I did not care for A Court of Thorns and Roses at all BUT A Court of Mist and Fury was so so so good that I thought this third (and supposed to be final) installment would continue on the upward trend. Sadly, I just found this book to be boring. It lacked something that ACOMAF had...tension? Character development? Movement? I'm not sure. But it definitely didn't have that "spark" I found in ACOMAF. I thought I'd breeze through it in a day or two...instead it took me almost two full weeks because it just stalls out a couple of chapters in. Between pacing issues and a lot talking....and more talking...and even more talking...I just found myself wishing the book would be over. I hate that I felt this way because, again, this was one of my most anticipated book releases of the year. And, sure, there were parts that were quite interesting -- especially toward the end when the talking was (finally) over and things (finally) started to move. But when a book is 699 pages long it should have the plot, momentum, and character development to carry it along those 699 pages otherwise it just puts the reader to sleep.